Home » Psychic » What Kind Of Psychic Are You? There are several different classifications of psychic phenomena in humans. Each different type of psychic has a different ability, and some people may mix these types. Here are some indications that you may fall into a psychic category. Have you ever had a dream about something that later came true? Have you ever seen something and without a doubt knew what was going to happen to it? Do you often find yourself saying things like “I knew it,” or “Called it!” Pre-cognitive psychics have the ability to see a limited time span into the future, in one or more of several ways. The most common way is by dreams, called “Somniatic Precognition.” In this form, one’s dreams tend to predict events happening before they happen. Another common form is in seeing omens or signs regarding certain events, called “Oracular Precognition.” Some of the most famous precognates in history have been Oracular Precognates. Deja vu is the feeling that you’ve been in a place before, despite having no recollection of it. This is a common phenomenon in many people, but it may also be a very weak manifestation of postcognition. Where precognates see the future, postcognates see the past. This type of psychic is particularly popular to try to emulate and fake, as seen on television shows about haunted houses. They bring in a “psychic” and the psychic then “sees” things that happened in a certain house. Really, that is how postcognition works, but the people who will do it on television are generally frauds. That said, it manifests in a few ways. The most common is in seeing fleeting images of a place as it once was, or of seeing people in a place who are obviously anachronistic, only to watch them disappear. Postcognates are possibly the best at seeing ghosts, as ghosts are entities of the past to begin with. The fiction trope of touching an item and immediately knowing what that item is and what it does is a fictionalisation of this kind of psychic’s abilities. 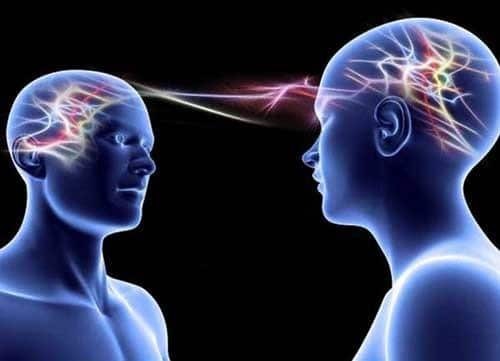 A touch-know psychic is a person who can touch an object or person with their bare hands, and gain some kind of knowledge or information just from the energy inside it. This is a particularly rare ability to actually have in any significant amount. Anyone can hold a family heirloom and feel that it is something important, but it takes a touch-know to point out specifics about it. The United States government actually employed a team of psychics at one point which included a touch-know, intending to use their abilities to spy on and prevent spying from the USSR’s government. Touch-knows seem to be the most practical psychic. If you have ever bumped into someone and suddenly known something about them, or picked up a random item and could tell exactly to whom it belonged, this might be your jam. What if I have all possible powers, including those not mentioned anywhere? Actually Ricky, you can hear more from others than you think. Find out what your discernment sounds like, then it will tell you the source of the thought or voice coming in. Always follow the positive directions and not the negatives. Ever hear the phrase “don’t think about zebras”? Your direction will come from positive statements, not negative or insulting ones. Yes, some people around you can hear your thoughts, but only the ones your heart wants them to hear.